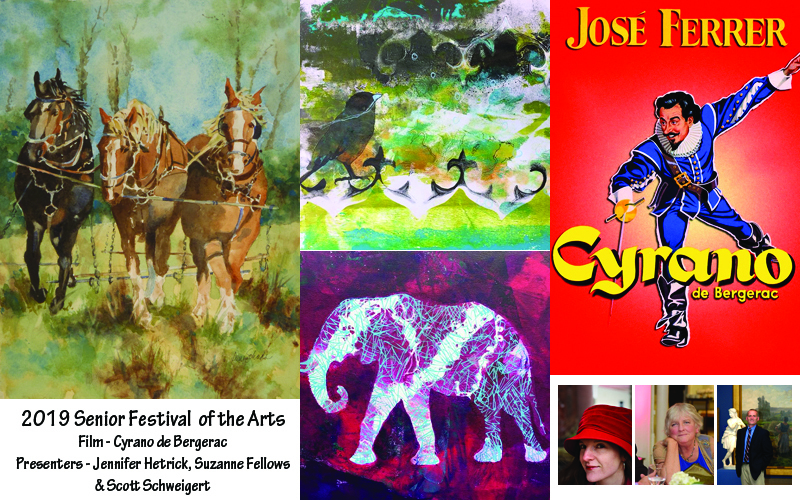 The Senior Festival of the Arts is a non-juried art show for seniors (ages 55+) from communities in and around Berks County. Events throughout the week include daily hours for viewing the exhibit, an opening reception and awards ceremony, a Childhood Memories Poetry workshop and a Gelatinplate Printing workshop for seniors, a film screening of Cyrano de Bergerac, and an Art Lecture. Non-juried art show for seniors (ages 55+) Must turn 55 by April 30, 2018. Categories: Acrylic, Drawing Mediums, Mixed Media-Mixed Technique-Alcohol Ink, Oil, Watercolor, Photography, 2D Textile Fine Art, Berk County Category - "Country Life in Berks"
Find out more and complete the entry form. Art Intake Day is Tuesday, May 28th 9:00am-4:00pm. Artists should deliver their artwork by utilizing the Miller Center loading entrance which is located on 2nd Street just past the I-MAX theater. Walk up the steps of the loading dock to the rear entrance of the building. Contact Natalie at 610.372.4721 x5509 with any questions about participating.